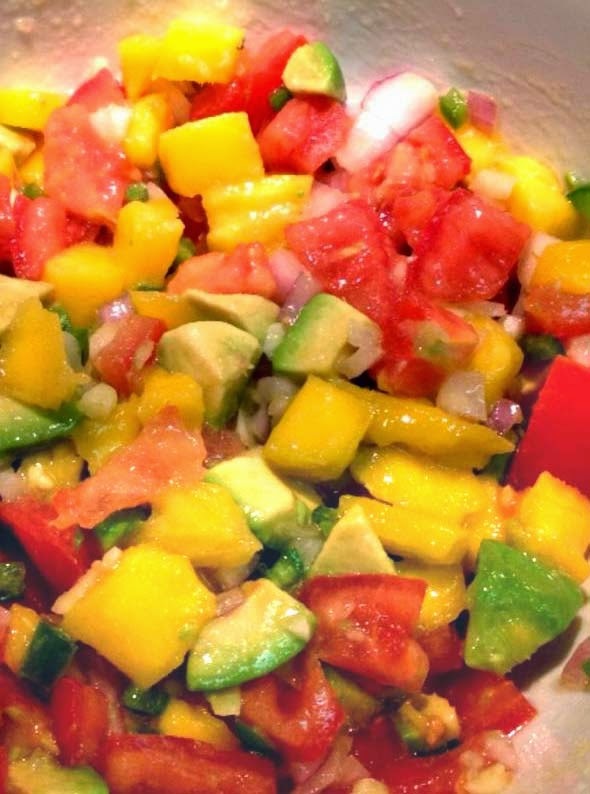 When asked how to make avocado salsa, I usually think of something sweet and spicy. This recipe is sweetened by ripe mango and spiced by jalapeno. Not sure if it can be called a Mexican salsa. Nevertheless, it's great during spring when weather is still kinda cool. Most importantly, this salsa recipe is easy to make. Combine and mix all ingredients in a serving bowl. Serve it as garnishing on baked or broiled fish, grilled shrimp, fish tacos and similar dishes.